Our rooms are equipped with flat-screen television, telephone, bath with wc and free Wifi. We are able to provide cost free babies beds for children under 2 years. One additional bed per room is possible for children under 10 years. Castel Mouisson has 14 double rooms and 3 family rooms all overlooking the shaded park. Possibilities rooms with a terrace or with a view of the property. Stay Tax : 1.20 € per person and per day. Supplementary bed : 10 € per day (childs from 2 to 10). Castel Mouisson is located only 5 minutes from Avignon TGV station. 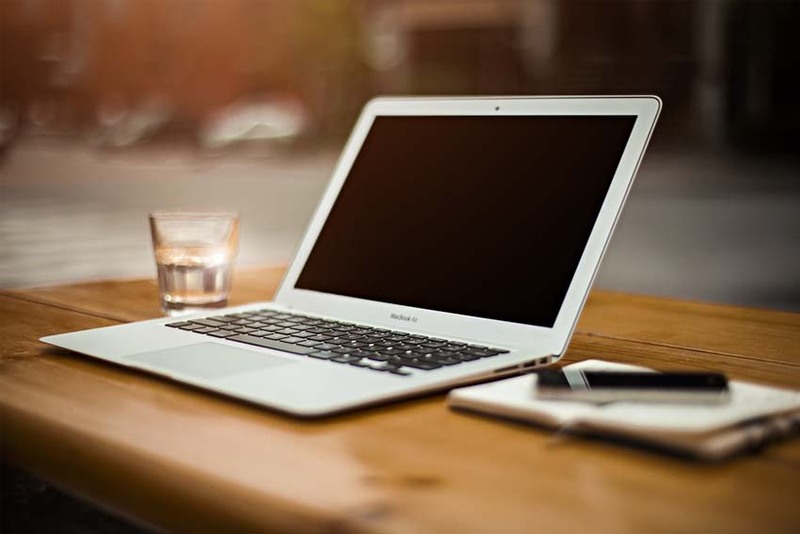 One night stay including room and breakfast: 69 € in single. One night stay including room, dinner and breakfast: 94 € in single. Meal prepared by a local caterer. Formula : "Entée, plat, dessert". Contact us 48 hours in advance to order meal. 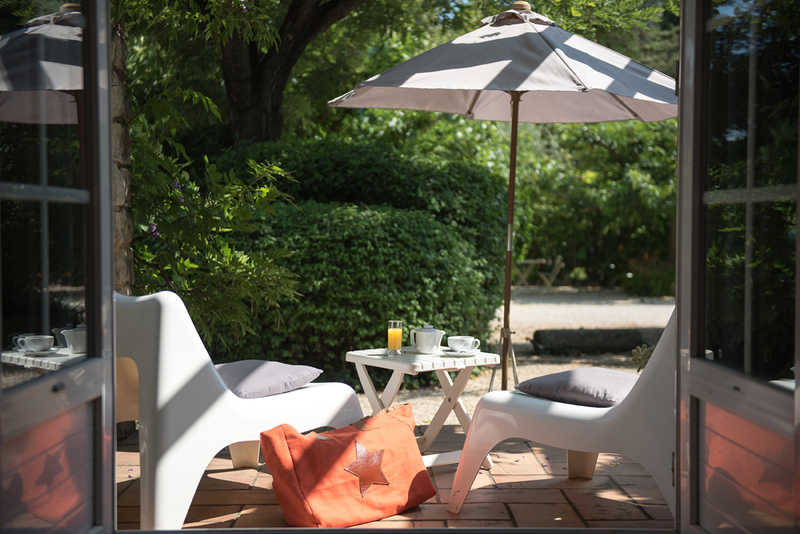 Breakfast will be served in your room, in the lounge, by the pool or in the shade of plane trees. Served from 7:30 to 10 am, we are at your disposal to best meet your expectations, your time constraints. 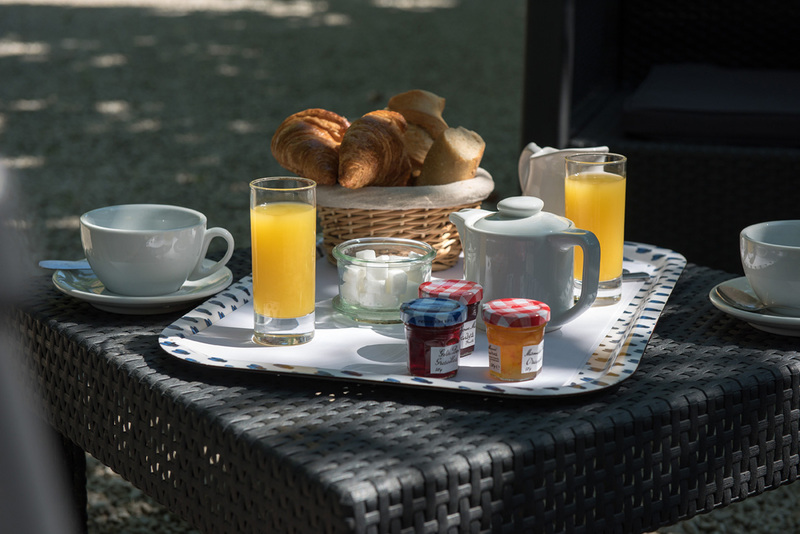 Pastries, hot drinks, fruit, yogurts, fruit juice will be served to start your day in Provence.